The Editors believe that Justice Carolyn Layden-Stevenson was murdered. We will tell the story and you can be the judge. Justice Carolyn Ann Layden-Stevenson grew up in New Brunswick, a place far removed from the centres of Water War Crimes corruption in Ottawa and Victoria. Based on reports about her career, she appears to have been a competent lawyer who eventually became a judge and her judicial history did not raise any red flags except for the fact that she was appointed to the Federal Court by the government of Prime Minister Jean Chretien and then appointed to the Federal Court of Appeal by the government of Prime Minister Harper in 2008. Then, in February, 2011, Justice Carolyn Layden-Stevenson was selected to make a decision in the Federal Court of Appeal proceeding taken by Mr. Carten and Ms. Gibbs appealing the decision of the lower court, the Federal Court, that had dismissed their case without any hearing on the merits of the case. The lower court had been completely biased against Mr. Carten and Ms. Gibbs and refused to permit the case to go ahead because the court officers wished to protect a group of criminals working inside the governments of Canada and British Columbia. The lower court dismissed the case on legal technicalities. In Canada, all court officers are appointed by and are paid by the government so they are strongly biased against citizens that have legitimate cases against the government. A later case involving Captain E.G. da Costa Duarte corroborated the claim that the court officers of the Federal Court were corrupt. Click here read Captain E.G. da Costa's letter to Queen Elizabeth and scroll down to page 4 to read about the corruption in Canada's courts. "Mr. Carten’s Web Pages are not pages of information to be dismissed. Yet, I must admit, when first introduced to the massive amount of information compiled by Mr. Carten, the first reaction was general disbelieve. Unfortunately, my Court experiences brings forth a shocking truth that the judicial system is far from its mandate to protect society from criminal activity. Rather, purposely adapted to protect the criminal interests of corrupt officials of whatever government crime of the day happens to be ongoing. Moreover, my two year involvement uncovering government sponsored criminal activity, already involves thousands of document pages relating to Transport Canada, Fisheries and Oceans Canada and useless members of the Crown and police." Mr. Carten and Ms. Gibbs were confident that legally they had a solid legal case, and so they took their case to the Federal Court of Appeal for a review. However, because Canada`s courts are corrupt and especially biased against private citizens suing the govermnent they expected that the Federal Court of Appeal would also be corrupt like the lower court and, naturally, their expectations proved correct. Instead of reviewing the case, as it legally should have, the Federal Court of Appeal tossed the case out without any hearing. The ruling of the Federal Court of Appeal was highly unusual and a violation of the principles of natural justice. 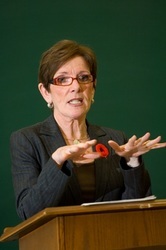 There were actually four judges of the Federal Court of Appeal directly involved in the dismissal procedure and the first step in that procedure was a court ruling by Justice Carolyn Layden Stevenson that was later was confirmed by a panel of three judges namely Karen Sharlow, Mark Nadon and Eleanor Dawson. All of the judges knew exactly what they were doing and they all knew that they were guilty of a serious crime. A judge is defined as an officer of the Crown whose function is to administer justice according to the law. The proper administration of justice requires a fair hearing of a case. The lower court refused to hear the case and now the appeal court refused to hear the case. This is a denial of access to justice. Mr. Carten and Ms. Gibbs appealed both decisions of the Federal Court of Appeal to the Supreme Court of Canada. In Canada, citizens do not have an automatic right of appeal to the Supreme Court of Canada, instead they must make an application for leave to appeal and a panel of three judges can consider whether or not to grant that application. Mr. Carten and Ms. Gibbs made two such an application in respect of both decisions of the Federal Court of Appeal and both of those applications were rejected. Louis Lebel, Thomas Cromwell, Rosalie Abella and Morris Fish considered and rejected the applications for leave to appeal. What kind of system of justice is that. Mr. Carten and Ms. Gibbs were denied a hearing by every level of court in Canada. Two citizens took a case against the Government to the court specifically set up to hear cases against that government and the judges appointed by the Government specifically refused to allow the case against the government to be heard. That is not a justice system at all. The case file at the Supreme Court of Canada was closed on April 19, 2012. Two months later, on June 27, 2012, Justice Carolyn Layden-Stevenson was dead. At the time, the Editors thought that Carolyn Layden-Stevenson was murdered because she was the 12th judge who had made a crooked decision against Mr. Carten and Ms. Gibbs who had suddenly died. 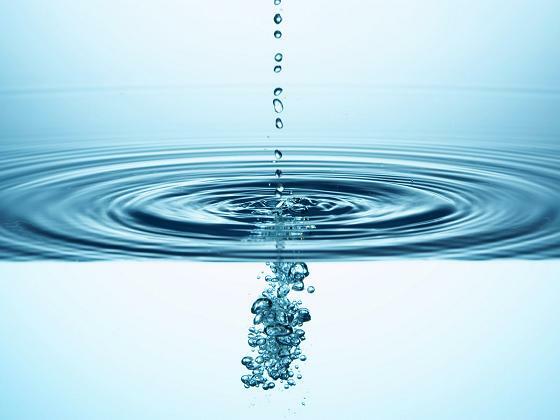 She was also the 32nd person involved in the Water War Crimes to have suddenly died during the course of these matters moving through the court system. The Editors began posting their theories about the murder of Carolyn Layden-Stevenson on this web site on July 9, 2012, and then, on July 16, 2012, a Department of Justice lawyer, Eric Noel, committed suicide in Ottawa although that fact was not revealed in the media until September 20, 2012. At the same time, Mr. Carten and Ms. Gibbs sent information about the probable murder of Carolyn Layden-Stevenson to the Government of Canada. On August 29, 2012, Prime Minister Harper paid a private visit to New Brunswick Premier David Alward, the home province for Carolyn Layden-Stevenson. 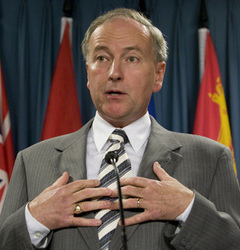 On September 1, 2012, Mr. Carten sent an email to Governor General Johnston advising him requesting that he advise Queen Elizabeth that it appeared that someone had murdered Justice Carolyn Layden-Stevenson and that she was now the 12 th judge connected to this case that had suddenly died in circumstances that suggested she was murdered. On September 2, 2012, Prime Minister Harper was observed to have made a private visit to New York City. On September 5, 2012, Queen Elizabeth announced in the press that she was sending Prince Edward to Canada for a private working visit. Prince Edward had private meetings with Prime Minister Harper, Governor General Johnston, the RCMP, Canada's military and a number of undisclosed persons. Prince Edward left Canada on September 11, 2012. On September 12, 2012, it was announced that Prime Minister Harper would be returning to New York City for the second time in a month - a highly unusual occurrence. On September 21, 2012,the Canadian media finally revealed that a Department of Justice lawyer had committed suicide but his name was not disclosed. 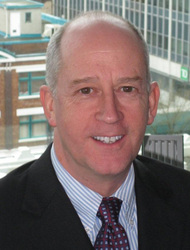 The Editors carried out investigations, learned that the lawyer who committed suicide was Mr. Eric Noel and learned that he had some very suspicious connections to the lawyers acting for the government of Canada in the proceedings in Federal Court, the Federal Court of Appeal and the Supreme Court of Canada. Given the nature of the case, it is probable that Eric Noel was murdered and his death was made to look like a suicide. Shortly after her sudden death was made public in early July, 2012 email correspondence was sent to Prime Minister Harper, Clerk of the Privy Council, Wayne Wouters, Justice Minister, Nichoslon, Foreign Affairs Minister, Baird, International Trade Minister, Fast, and Defence Minister MacKay. It took a while but, eventually, the Deputy Minister responsible for legal strategy that led to murder was fired by Prime Minister Harper effective November 5, 2012. E-Mail Letter to Prime Minister Harper and colleagues advising that their legal strategy had led to murder. The Right Honourable Stephen Harper, M.P., P.C. 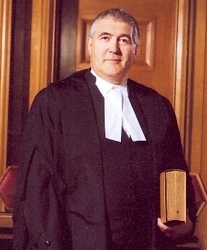 The Honourable Robert Nicholson, M.P., P.C. The Honourable John Baird, M.P., P.C. The Honourable Ed Fast, M.P., P.C. What Was the Role of Canada's Department of Justice, Federal Court Chief Justice Lutfy, Federal Court of Appeal Chief Justice Blais and Justice Minister Nicholson? On June 27, 2012, Madam Justice Carolyn Layden Stevenson of Canada’s Federal Court of Appeal died from unstated causes in an Ottawa Hospital. She is survived by her parents, her husband, her children and extended family. They have lost a family member. They will miss her. However, what they do not yet know is that there is good reason to believe that she was murdered as part of a conspiracy involving legal counsel at the Canadian Department of Justice and officers within the administration of the Federal Court and Federal Court of Appeal. In my opinion, Carolyn Layden Stevenson was the victim of a sinister form of legal and judicial entrapment executed as a litigation tactic and culminating, ultimately, in her murder. As the court record in Federal Court Appeal proceeding A-343-10, shows, commencing in December, 2010, Department of Justice legal counsel entered into a co-ordinated plan with other legal counsel, that, eventually, lured Judge Layden Stevenson to her death. compensation for the harm we and our families had sustained as victims of abusive conduct by Federal officers, employees and agents. It was a devilish plot and, naturally, like all things born of the devil, it led to a diabolical result. In order to insure their ultimate success against Ms. Gibbs and I, your Department of Justice lawyers and their co-conspirators required a judge at the Federal Court of Appeal who could be relied on to grant, the exceedingly rare and, arguably, unconstitutional, court order that would have the effect of preventing Ms. Gibbs and I, two victims of government abuse, from having our appeal heard, on its merits, after our claim had been dismissed by the lower court, without any hearing on the merits, due to the cleverly contrived but perverse judgment allegedly written by Justice Joanne Gauthier. With the generous and able assistance of Chief Justice Pierre Blais, these cunning litigators seduced Madam Justice Carolyn Layden Stevenson into doing what was wrong when she should have done what was right and, then, sixteen months later, when her corrupt decision had become notorious and she had become a liability who might expose the criminality of the cunning litigators, they arranged for her murder so she would be forever silent and their role in these crimes of state would remain a secret. In my opinion, several employees and officers of the Government of Canada have knowledge of these events and one or more of them may have also been part of a fiendish Government inspired conspiracy to murder Justice Carolyn Layden Stevenson. Incidentally, on October 21, 2011, Madam Justice Gauthier was rewarded for her corrupt decision against Ms. Gibbs and I with a promotion to the Federal Court of Appeal, a promotion that was approved by Justice Minister Rob Nicholson and Prime Minister Stephen Harper, who, being well aware of the perverse judgment that Madam Justice Gauthier had rendered for the benefit of the Government and its agents, must now be viewed as complicit in these matters. Murder is one of the most serious offences set out in the Criminal Code of Canada. It is also a grave violation of God's law - the Ten Commandments. I strongly encourage you to direct all government lawyers and other personnel involved in these matters to make complete and frank disclosure so that the murderers of Madam Justice Carolyn Layden Stevenson are brought to justice and punished for their crime. Finally, you must now, in the public interest and in the interest of your own safety, the safety of your colleagues and the safety of the various judges, lawyers, legal officers and others who have been involved in this matter make an immediate public disclosure of these issues thereby alerting all concerned to the presence of a criminal gang operating inside the government that will not hesitate to use murder to achieve its ends. Support our fight for justice and help us clean out the criminals in our government structures. The following letter was sent to British Columbia Premier Christy Clark on October 26, 2012, and in it Mr. Carten asks her to respond to the suggestion that she approved the murder of Justice Layden-Stevenson. Premier Clark has never replied. Premier Christy Clark did not fire Richard Fyfe and Peter Ameerali, the lawyers responsible for the crooked legal strategy that led to two murders and she has completely ignored the letter and her role in approving the corrupt legal strategy. The lawyers still have their jobs but they knew exactly what they were doing and, in our opinion, Fyfe and Ameerali and a whole group of lawyers working, mostly, for the government are guilty of murder, at worst, and, negligent homicide, at least because they are no different from mechanics in a garage who hand over a vehicle they know has defective brakes to a driver who then dies when the brakes fail. Premier Christy Clark is seeking re-election but her campaign would be completely destroyed if the facts of her role in causing a murder were revealed. Unfortunately, the mainstream media are completely stupid in Canada.